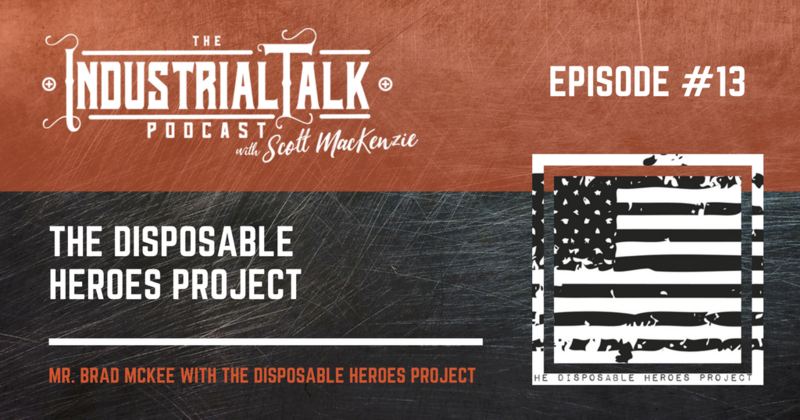 It was a tremendous honor for Industrial Talk to interview Mr. Brad McKee with the Disposable Hero Project. We discussed the purpose of the Project and the help it provides our wonderful Men and Women in uniform. We also discussed Mr. McKee's fabrication and cross fit business as well. He is an inspiring young man with incredible insight. I truly recommend visiting his website at www.dhproject.org for more information about the Project and how you can support this noble organization.